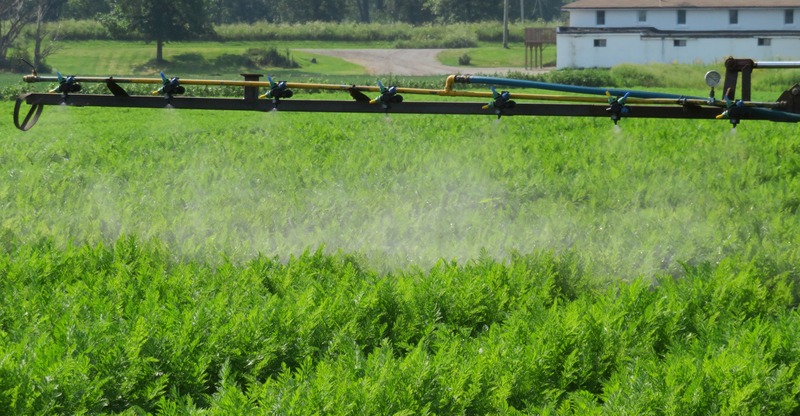 Here is a great article on sprayers101.com about spray nozzle selection in vegetable crops. What is the best spray unit to use? The one that has been correctly set up and matched to the crop you are spraying. That can be hard to achieve, especially in vegetable crops where the target can vary enormously from bare ground to upright leaf crops (e.g. onions), to horizontal leaf crops (e.g. potato and brassica). Generally, I have found that air-assist booms offer the best starting point for achieving good spray coverage of vegetable crops. However, like any spray boom, they must be set up correctly. Air-assist booms are more expensive and require a few more horses to operate, which is why most Australian vegetable growers prefer to make do with a non air-assist boom.